You never know who you’ll find in the Trinity Churchyard on Halloween. Aaron Burr and Alexander Hamilton; Lord and Lady Cornbury; assorted ghosts, witches, goblins, and the occasional Spiderman. It’s all part of the Trinity Halloween celebration. It’s a night of fun for the whole family, including treats, games, crafts, and a special silent movie screening in Trinity Church. Tricks, treats, games, a photo booth, and stories from the churchyard’s famous inhabitants. Free and open to the public; for all ages. The neighborhood raises a toast to churchyard denizen Alexander Hamilton. Non-alcoholic beverages will also available. 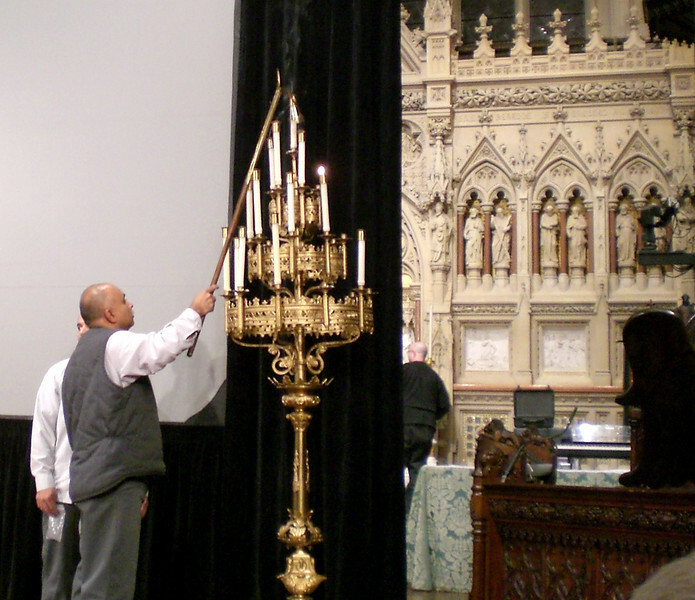 See “the greatest horror film of modern cinema” in Trinity Church’s candlelit Gothic setting. Directed by Rupert Julian and starring Lon Chaney. With live organ accompaniment by Robert Ridgell.